Week of Welcome (WOW) brings an influx of new Cal Poly students every year — along with doubled fines for partying-related citations. 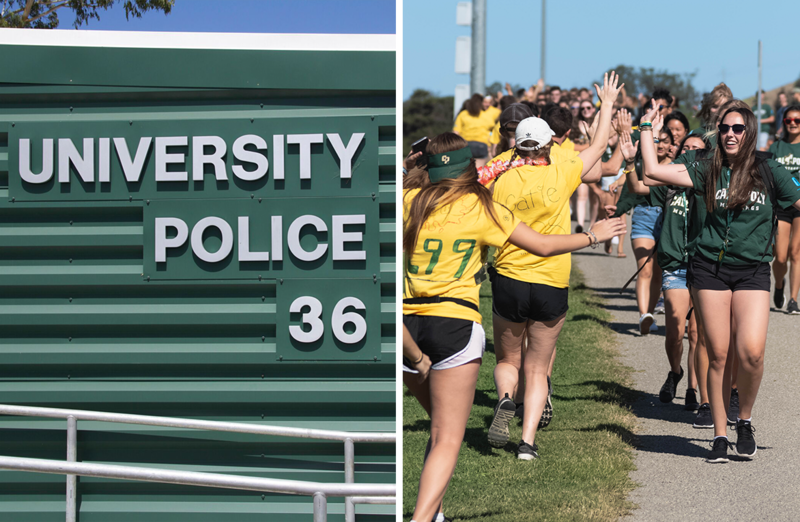 During WOW 2018, Cal Poly experienced an increase in arrests and slight decrease in citations from last year. San Luis Obispo’s citywide Safety Enhancement Zone — which doubles fines for noise, unruly gathering, public urination and open container violations — has been in effect every WOW since 2013. This year’s safety enhancement zone, which encompasses fines from both Cal Poly University Police Department (UPD) and San Luis Obispo Police Department (SLOPD), went from Sept. 14–24. The following is UPD data. UPD citation numbers have remained relatively stable the past three years, but there is a steady increase in arrests. WOW 2018 had 35 citations: 24 on-campus, 11 off-campus, and all alcohol-related. UPD stated they approached this year’s start-of-school period the same as previous years and no changes in enforcement were made.